In 1971, Alvin Ailey choreographed the ballet, Cry, as a birthday present for his mother; it went on to become an enduring work of American art. This 16-minute solo, which was first danced by the legendary Judith Jamison, is dedicated to "all black women everywhere - especially our mothers." The solo is made up of three parts – the first set to Alice Coltrane’s “Something about John Coltrane,” the second to Laura Nyro’s “Been on a Train” and the last has the Voices of East Harlem singing “Right On, Be Free.” The female soloist represents all black women, depicting their African origins, the trials and tribulations they have endured and their joyful triumph over those hardships. 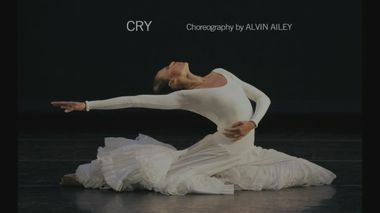 When Cry premiered at New York City Center in 1971, it was an immediate sensation. 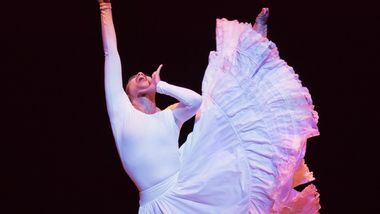 It propelled Judith Jamison, who is now the Artistic Director Emerita of Alvin Ailey American Dance Theater and was Ailey’s muse for Cry, to international stardom in the dance world. In its review of the premiere, The New York Times proclaimed, “…for years it has been obvious that Judith Jamison is no ordinary dancer. 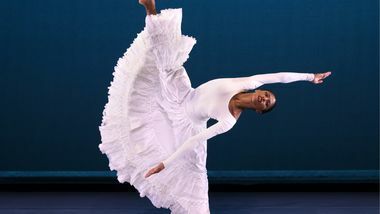 Now Alvin Ailey has given his African queen a solo that wonderfully demonstrates what she is and where she is… Rarely have a choreographer and a dancer been in such accord.” Since Jamison’s portrayal of this archetypal figure first popularized the piece, it has become a distinct honor for Ailey dancers to follow in her footsteps by performing Cry in its entirety onstage. The dance legend who inspired some of Alvin Ailey's most iconic choreography is guiding a rising star to follow her actual footsteps. Judith Jamison met Ailey in a stairwell after bombing an audition in 1965, when she was 22. 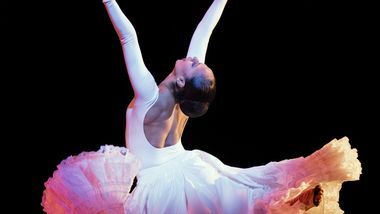 But that first misstep leg to a 50-year career after Ailey invited her to join his new Alvin Ailey American Dance Theater, which was showcasing black modern dancers just as the civil rights movement was also hitting its stride.